Introduces Silverlight, Microsoft’s offering for designing, developing, and delivering rich interactive applications over the Internet. id The unique identifier associated with a Silverlight plug-in. This parameter is required. parentElement The HTML DOM element that the Silverlight plug-in is hosted within. This parameter is required. source The Silverlight application to load into the plug-in. This parameter is required. In addition to the required elements, you can customize the plug-in instance. These customizations are defined within the nested properties object. This object was shown in the previous code snippet. However, only some of the options were shown. All of the possible options are shown in the following table. background Represents the color of the rectangular region where the Silverlight plug-in should be. enableHtmlAccess Determines whether or not the Silverlight application can access the HTML DOM. frameRate The maximum number of frames to render per second. Height Defines the height of the rectangle that holds the Silverlight application. isWindowless Determines whether the plug-in displays as a windowless plug-in. splashScreenSource The location of the XAML file that is used while a Silverlight application is loading. Version Specifies the version of Silverlight that the application requires. Width Defines the width of the rectangle that holds the Silverlight application. onError Handles an exception that has not been caught within the Silverlight application. onLoad Triggered when the plug-in is created and all of the Silverlight content has been loaded. onSourceDownloadProgressChanged Fires when .05% or more of the Silverlight application has downloaded. This can be used to update the splash screen referenced by the splashScreenSource parameter. onSourceDownloadComplete Triggered when the Silverlight application has been fully downloaded. Mark the method, property, or event with the ScriptableMember attribute. Tag the class that holds the item from step 1 with the ScriptableType attribute. Create the bridge between the class instance and the HTML DOM with the RegisterScriptableObject class. These four steps outline the process of exposing managed code to the scripting world. To demonstrate how this looks with actual code, we will call a C# method that returns the current date and time. This date and time will then be printed within an alert prompt. The HtmlPage class is the core element to use when working with the HTML DOM. This statically visible class exposes a variety of properties that give you access to the key items of a web page. These properties are listed and described in the following table. BrowserInformation Gives us access to the user's browser information. Document This is an HtmlDocument object that represents a web page. This specific property represents the web page hosting the calling Silverlight application. Plugin This is an HtmlElement that represents the HTML element that is hosting the running Silverlight application. Window Gives us access to the user's browser window. This will be demonstrated shortly. The properties listed in the previous table serve as entry points into the HTML world. The main entry point we will use in this section is provided through the Document property. This property is an HtmlDocument object which in turn gives us two properties that serve as entry points into a web page. These properties are listed and described in the following table. DocumentElement This property represents the root element of the HTML DOM. Because of this, it always represents the "HTML" element of a web page. Body This property gives us immediate access to the contents of the "BODY" element of a web page. Both of the elements listed in the previous table are actually HtmlElement objects. An HtmlElement is an in-memory representation of an HTML element. This means that if you have an input tag or span element in HTML, they will both be represented as HtmlElement objects in managed code. This gives us the ability to work with common, useful properties from managed code. These properties are listed in the following table. Children A collection of HtmlElement items that are hosted by the current HtmlElement. CssClass The name of the CSS (Cascading Style Sheet) class in use by the HtmlElement. Id The unique identifier of the HtmlElement. Parent The HtmlElement that hosts the calling item. If the calling item is the DocumentElement, this value will be null. TagName The name of the tag used by the HtmlElement. The properties in the previous table define an HtmlElement. An HtmlElement is a critical component of an HtmlDocument object. This object is accessible through the statically visible HtmlPage class. With this class in hand we can perform a number of valuable tasks. Not the least of which include: finding HTML elements, setting element properties, setting CSS information, and managing state information. Searching for HTML elements from managed code is an important part of taking advantage of the HTML DOM API. We can traverse through the hierarchy of a web page using the DocumentElement, Children, and Parent properties mentioned earlier. However, the HtmlDocument class exposes two methods that empower us to retrieve HtmlElement items more efficiently. These methods are listed and described in the following table. GetElementById Empowers us to find any element within an HtmlDocument by referencing its unique identifier. If the element is found, an object-oriented version of the element, known as an HtmlElement, is returned. If the element is not found, null will be returned. GetElementsByTagName Finds all of the elements with a specified tag name. The results are returned as a collection of HtmlElement items. This element was assumed to be named "myHtmlElement". This name needs to be the id of an element within the hosting web page. Once we have retrieved the element though, we can actually set any of the properties that define it. The first parameter is a string that represents the name of the property to set. The second parameter is a string that represents the value to set to the property. This code sample sets the innerText property of an imaginary HTML element to "Hello, HTML". Essentially, imagine setting the text of a span named "myHtmlElement" to "Hello, World". This is what the code sample accomplishes. Significantly, this approach is applicable to any element in a web page. The first parameter specifies the CSS property we want to set. The second parameter signals the value we want to set the property to. When setting style attributes from managed code, you must use the scripting naming approach instead of the CSS naming approach to reference a style attribute. For instance, if you wanted to set the background color of an HTML element, you would need to use "background- Color" instead of "background-color". This basic code sample changes the text color of an assumed span to green. This demonstrates how to set the CSS information of an HtmlElement. This object also allows us to set the properties that separate it from other elements in a web page. This web page is represented as an HtmlDocument. This web page may have information that is specific to the current request. For instance, the web page may display information specific to an individual customer or order. These types of situations are often times exposed through state variables. State variables allow you to store information across page post backs. 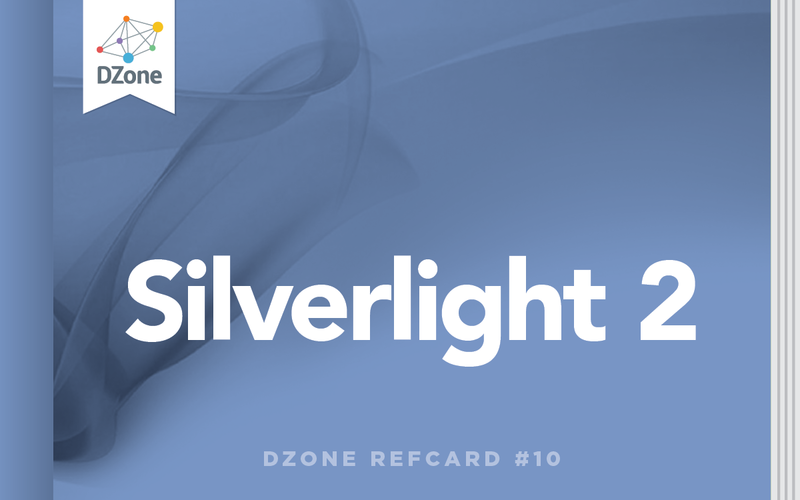 While Silverlight is a client-side platform that helps to alleviate post backs, you may still run into them. The reason why is simply because a Silverlight application is hosted within a web page. Either way, you can read state-related information through the two properties shown in the following table. Cookies A string that gives you the ability to manage the cookies associated with a page. QueryString A dictionary of the key/value pairs associated with a page's query string. Silverlight gives us the flexibility to work with a user's browser window through the HtmlWindow class. An instance of this class can be obtained from the statically visible Window property of an HtmlPage. Once retrieved, we can use this object to navigate the user to another location. Alternatively, we can actually use the browser window to display some valuable prompts to a user. One method is designed to be used with a location within the current page. The other method is intended to be used to go to other locations on the internet. Navigate(...) This method will redirect the browser window to the provided URI. This URI can be loaded in an optional target window. The specifications of this target window can be set via an optional third parameter. The name and specification of the target window parameters match those used by the HTML DOM window.open function. NavigateToBookmark(...) This method is used to navigate to a location within the current HTML page. This location must be defined by an anchor tag with the web page. The two methods listed in the previous table ensure that your Silverlight application isn't isolated. In order to escape from an island of isolation, you can use the following code to go to another page on the internet. This code sample will open a web page in a new browser window. In addition to performing basic navigation though, we can also use the browser to display prompts. The HtmlWindow class gives us the ability to provide prompts through the user's browser window. These prompts are listed and described in the following table. Alert(...) Shows a single message in an HTML alert window. Confirm(...) Prompts the user to agree or disagree with a statement or question. This prompt displays two buttons: OK and Cancel. The text of these buttons cannot be customized. If a user selects OK, this method will return true. However, if a user selects Cancel, this method will return false. Prompt(...) Creates a dialog window that displays a single message. In addition, this dialog displays a single text box that the user can enter information into. If the user selects the OK button from this dialog window, the value of that text box will be returned as a string. Otherwise, if a user selects Cancel or exits the window, null will be returned. This code snippet simply displays the current date and time to the user. That's all there is to it. These kinds of prompts are a valuable part of the browser environment. Equally valuable and useful though is the information associated with the browser itself. As a web developer, you may have witnessed how HTML content sometimes renders differently on different browsers and platforms. However, Silverlight content is designed to render consistently across different browsers and platforms. But, if you are editing the HTML DOM through Silverlight, you will still need to take these browser differences into consideration. Fortunately, the BrowserInformation class gives us access to this information through the following properties. BrowserVersion Stores the major, minor, build, and revision information of a browser. This information is available as a System.Version class instance. CookiesEnabled A bool value that retrieves whether or not the user has enabled cookies in their browser. Name The name of the browser that the user is using (i.e. "Microsoft Internet Explorer" or "Netscape"). Platform A string that identifies the operating system the user is using (i.e. "Win32"). UserAgent The value of the user-agent header that will be sent from the browser to the server. As you can imagine, the BrowserInformation class is an important part of working with the HTML DOM. Perhaps an even more powerful part of the HTML DOM API though is the HtmlWindow. This API also allows you to manage the HTML DOM from managed code. On the contrary, you can expose your managed code to the HTML DOM. No matter the direction you want to go, Silverlight can help you get there. You can find out more about the incredibly powerful Silverlight platform in the book Silverlight 2 in Action. Be careful when using the Navigate method. If you redirect your user away from the current web page in the current browser window, your Silverlight application will be unloaded. This may not be what you have intended. Because of this, you may want to consider using the "blank" value as the target window. DocumentElement This property represents the root element of the HTML DOM. Because of this, it always represents the \"HTML\" element of a web page. Body This property gives us immediate access to the contents of the \"BODY\" element of a web page. This element was assumed to be named \"myHtmlElement\". This name needs to be the id of an element within the hosting web page. Once we have retrieved the element though, we can actually set any of the properties that define it. This code sample sets the innerText property of an imaginary HTML element to \"Hello, HTML\". Essentially, imagine setting the text of a span named \"myHtmlElement\" to \"Hello, World\". This is what the code sample accomplishes. Significantly, this approach is applicable to any element in a web page. When setting style attributes from managed code, you must use the scripting naming approach instead of the CSS naming approach to reference a style attribute. For instance, if you wanted to set the background color of an HTML element, you would need to use \"background- Color\" instead of \"background-color\". Name The name of the browser that the user is using (i.e. \"Microsoft Internet Explorer\" or \"Netscape\"). Platform A string that identifies the operating system the user is using (i.e. \"Win32\"). Be careful when using the Navigate method. If you redirect your user away from the current web page in the current browser window, your Silverlight application will be unloaded. This may not be what you have intended. Because of this, you may want to consider using the \"blank\" value as the target window.